Along with a onsite paper destruction service, businesses on-line and electronic data can be vulnerable to a data breach if not adequately protected. A data breach can occur from a small genuine mistake to a significant planned breach. In this article we will discuss methods any Organisation can take to help prevent a data breach occurring and in turn minimise the risks of experiencing negative public image and damaging press. Training: All employees that handle sensitive documents and/or have control over/access to sensitive digital data should be trained appropriately. All employees should be made aware of the applicable Data Protection Act principles both at an Irish level and a European Level. External obligation through legislation is important for all employees to be informed of however internal policies must be drawn up and communicated to all staff members. Risk Assessment: All Organisations should conduct a risk assessment of their IT systems which in turn will help them to identify security threats and improve upon potential weaknesses. Penetration Protection: Up to date anti malware software should be used to detect potential damaging malware on employee work devices. Periodic reviews should be complete to ensure that firewalls will defend against malware. Encryption: All data inclusive of static data on external storage devices and data in motion which is data being sent between two separate devices should be encrypted. Encryption If information or devices are stolen; thieves will not be able to access the sensitive information. Monitoring: We advise that employees should physically protect both electronic devices and paper records in their possession that contains sensitive data. While a Clean Desk Policy can help, it is sometimes difficult for an Organisation to ensure that employees keep their desk clean. 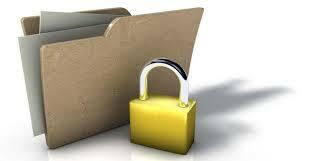 Control Access: Different members of an Organisation will need to access sensitive information at different times. Employees at each level should only have access to information that is relevant and required to their job. A secure ID system should be implemented within your Organisation that will only allow specific employees access to specific information whether it be on a device or on a paper record. Physical Safeguards: Limit physical access to facilities where Company IT is housed. All hard drives and e-media should be securely destroyed in line with EN 15713 through a Data Processing firm when they are being replaced and/or updated. All organisation should partner with a document destruction expert that provides secure onsite paper shredding Dublin and secure offsite paper shredding Dublin. These data processing firms should have the capability to securely destroy both physical data held in paper format and digital data held on old hard-drives and data cartridges. This entry was posted in Confidential Shredding, Data Protection, Uncategorized and tagged Data Protection, document shredding, Paper Shredding Dublin by Security in Shredding. Bookmark the permalink.